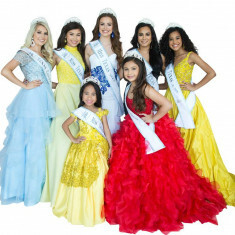 2019 Pageant is March 15th-19th. Omni west Side Houston TX. 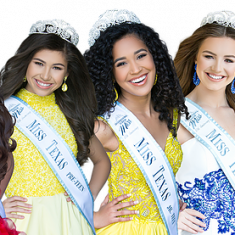 2019 Texas Royalty will be enjoying a 4 day expense paid cruise to Cozumel Mexico! June 10th 2019! This scholarship program is judged on academic achievement, volunteer service, resume, evening gown, fun fashion and a personal interview. Emphasis is placed on the importance of gaining self- confidence, learning new skills, setting and achieving personal goals! 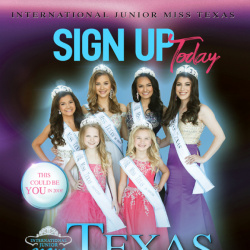 The International Junior Miss Scholarship Pageant seeks to recognize the accomplishments of each state/national finalist while encouraging her to set goals for the future.